SCVHistory.com MU9067 | William S. Hart Park | Construction of Hart Mansion Nearly Complete, 1927. The Natural History Museum of L.A. County describes it as "rear view with Hart's original bedroom in center." 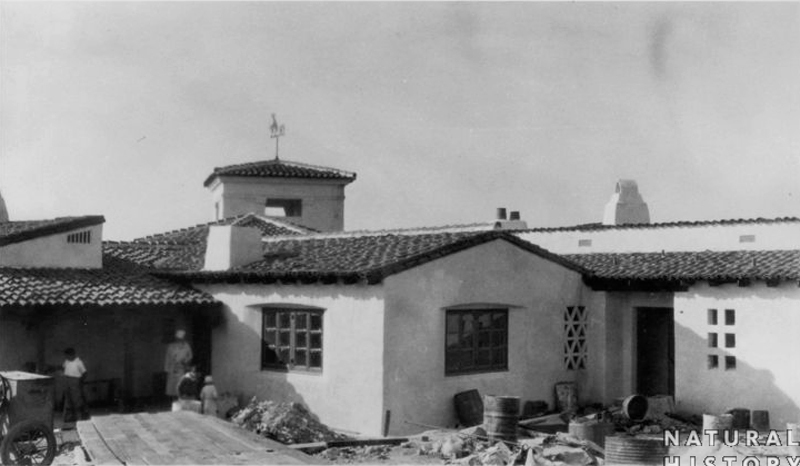 NHMLA identifies this photo as "circa 1926," but Hart didn't make initial contact with the architect until the second half of 1926, and photos showing early phases of construction date to 1927. MU9067: Online image only | Natural History Museum of Los Angeles County's Seaver Center for Western History Research, Catalog No. GPF-9067.